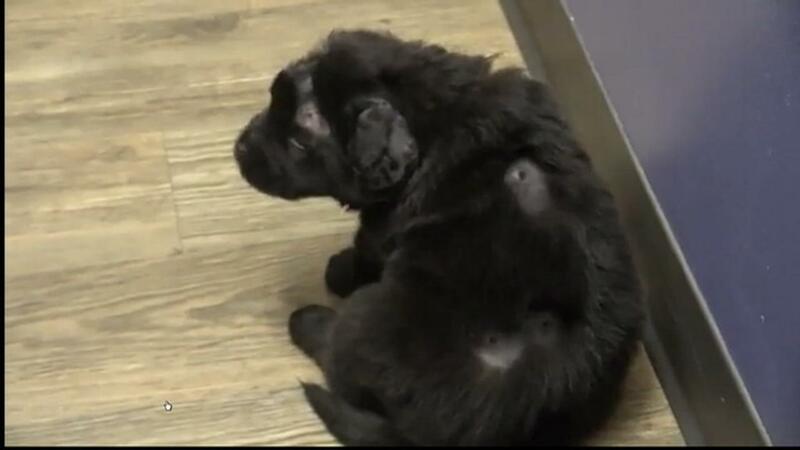 ROCK HILL, S.C. -- A 6-week-old puppy is recovering at a South Carolina animal hospital after someone shot it nearly two-dozen times with a BB gun. Rock Hill police responded to an apartment complex around 5 p.m. Sunday. 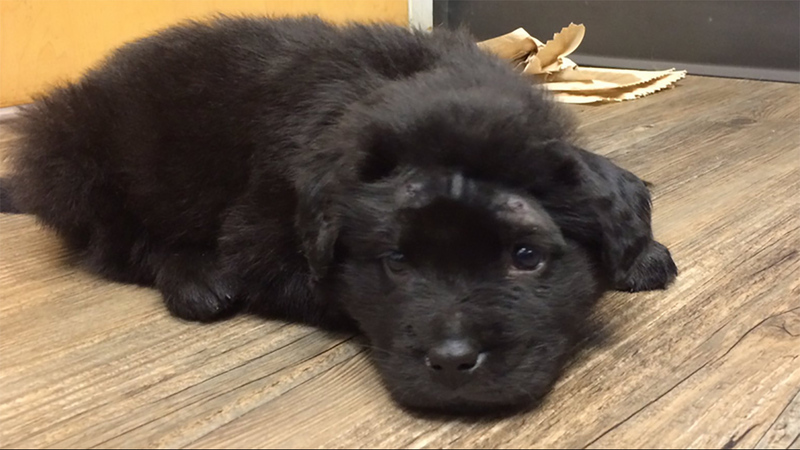 A utility worker told officers he saw 15 to 20 juveniles playing with a black puppy. A few minutes later, the worker went to check on the puppy and saw it was "bleeding heavily" from multiple wounds, police said. Two teenagers were arrested Tuesday afternoon in connection with the case. Veterinarians found 18 BB pellets in the dog's skin and muscle along with intestinal parasites, according to the Ebenezer Animal Hospital co-owner. "He seems like he's going to pull through," she said. "He's a strong little boy. He's really, really sweet." She said employees at the hospital named the puppy Brody.